It’s been a while since I’ve posted (sorry, I’m still working hard on my next book) and hadn’t planned to post but this piece from Terry on Rosie’s blog deserves to be spread far and wide. If you are an author and you ask someone for their honest opinion of your work, don’t get upset if they give it. Book bloggers are treasures. They should be encouraged, praised, and if possible given red wine and chocolates. These wonderful people give up their time, for free, to review books. And as every book is a piece of art, whether they like it or not is subjective (if you don’t believe me, look up the one-star reviews on your favourite book). A well-thought out review is a gift, whether positive or negative, and if you don’t think you can react well to somebody not liking your book, then you should think long and hard about publishing it at all. I have to admit, I was a little dubious about NaNoWriMo before starting. Yes, I saw the value of creating a community of like-minded individuals all focussing on one goal, but at the same time 1667 words a day, while not a huge amount on a single day, is a lot of writing day in, day out, for a month. From a personal point of view, the month of November wasn’t exactly quiet. Along with work and being there for my family, I’d also recently taken on learning a set of songs for a duet, there was my oldest son’s tenth birthday split over two weekends (as the birthday fell on a Wednesday) and I had committed to starting a cricket coaching course at the end of the month, ruling out more weekend writing time. Yet in the end, I did it and with more than a week to spare! I know I work well to deadlines with my job but this was the first self-imposed deadline I’ve had for my writing and it really drove me on. By committing publicly to delivering something I found I was planning my days better, snatching the odd 30 minutes writing time when I could instead of sitting in front of the box, and generally doing all I could – without upsetting my family – to hit my goal. When writing my first three novels, on a good day i could hit between 2000 to 2500 words. My best was just over 3000 words, yet there were a number of times during the past month where I wrote well over 4000 words in a day. This may have had something to do with the story itself, having a clear target or just generally being more focussed, but when writing in the future my expectations of what’s achievable has changed. I’ve always been a believer of not looking back when writing your first draft but this year I took it a step further than I’ve done in the past. Where I used to correct the odd sentence or paragraph I was which I was particularly unhappy, for NaNoWriMo I just left comments in red all over my MS on areas I felt needed work or where I had a change of plan, but then carried on going. While this was a great help to hit the word count, it will be interesting to see how the first rewrite goes! One of my favourite discoveries during NaNoWriMo was how much fun over-writing is. What do I mean by this? In my case it was allowing myself to describe settings or characters in more detail than was needed, or to write far too much exposition than would be in the final book. This is a big change for me. I usually write sparingly and go back to add further detail later, but this time around over-writing really helped me get under the skin of the world and the story I created. I know a lot of what I’ve written will be (rightly) cut during the edit but it has been fun letting myself go a allowing myself time to explore the people and settings I’ve created. I’ve always maintained that one of the best things about writing is the supportive community, and through NaNoWriMo I’ve got to meet a lot of new supportive and encouraging writers. Sadly I haven’t been able to go to any meet ups but the response on the NaNoWriMo regional message board has been really positive. Next year I’ll definitely attend. Of course, my first draft isn’t finished. I’m not sure whether I’ll hit my extended goal of finishing it by the end of the month but it will be really close and I can’t wait to then get my teeth into it and start editing in the new year. So what about you? If you’ve taken part in NaNoWriMo this year, what has been your experience? If you haven’t, have I persuaded you to do it next year? I look forward to hearing from you. 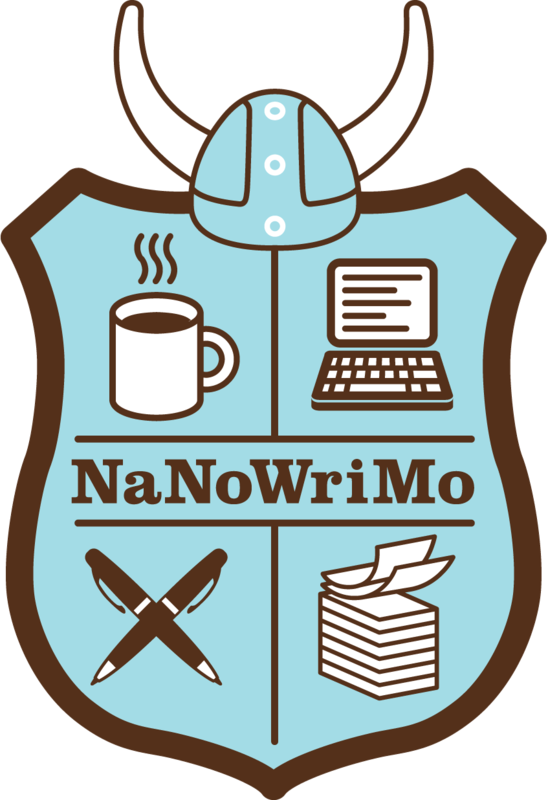 As you can probably tell with the lack of posts and minimal comments on other blogs or social media platforms, I am still thoroughly engrossed in NaNoWriMo 2016. The good news is that I’m still flying. I don’t know whether it is the book idea or whether it is the fixed goal of 50K words in a month, but on my full writing days I’m achieving between 3000 and 4000 words a day, even on days where I feel I’m trying to chisel each word out of rock one at a time. This compares to 2000 on a good day when writing my previous novels. If there’s only one thing I take away from this process, it’s that I can write a lot faster than I originally thought. The story itself is progressing nicely. I’m still in love with my main characters, the world is filling out nicely and there haven’t been too many deviations from plan. I do know, however, that there will be a lot of work to do during the edit. Also, the story went through a dark phase last week – a prime example of art reflecting life. I found myself rewriting sections because this is a book aimed at older children, and while there’s nothing wrong with scaring children a little bit – look at Roald Dahl’s stories for example – I don’t want to traumatise them. That said, I’ve now come out the other side – at least in my writing – and I’m still on course to beat the 50000 words by the end of November. In fact, as you can see there is a good chance I’ll pass that mark next week! This then leads me on to my next challenge. I’ve estimated that the whole of this draft will be around 65,000 words, so my new target is to try to finish the full draft by the end of the month. This is going to be tight as my weekends are fairly booked up between now and then, but it’s good to keep on pushing. So how are the rest of you getting on? I’d love to hear from you. I just thought I’d give you a quick update on how NaNoWriMo is going. I’m pleased to say I’m well ahead of schedule, which is good as I won’t have the chance to write much over the next couple of days. The story is flying. As it’s a completely new world for me I’m finding I’m over-writing – long descriptive passages, far too much detail – but this is helping me get a real feel for the world I’m creating and can be pruned hard during the edit. So how are the rest of my fellow NaNoWriMo writers getting on? Are you on track or are you struggling? I’d love to hear from you. *Remind me of this during the next update if I complain about how difficult this NaNoWriMo malarkey is! Susan from Dab of Darkness was kind enough to interview me the other day and I had an absolute blast revealing my hidden Tolkien geek! 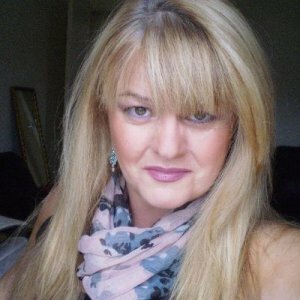 Feel free to check it out on Susan’s blog where she also has lots of reviews, interviews, and giveaways. Everyone, please give a warm welcome to author Dylan Hearn. 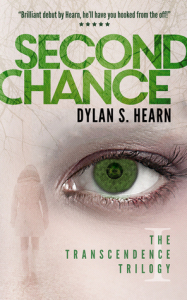 Learn about Dylan’s fascination with The Lord of the Rings and also about his science fiction thriller, Second Chance. What now-dead author would you like to interview? What are some of the things you would chat about? I’d like to interview Iain Banks and ask about how he manages to slip so seamlessly between writing well-respected literary fiction and equally well-respected science fiction with his culture novels. I’d also like to know how he came up with his names for the ships. They’re genius! If you could, what book/movie/TV series would you like to experience for the first time all over again and why? Reviews, reviews, reviews. They are something an author both craves and fears. 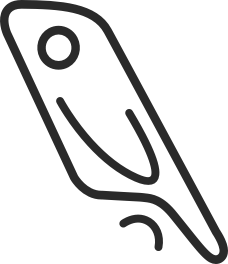 We are desperate for reviews, both as confirmation that what we’ve produced is liked – though I’ll let you into a little secret here, no matter how many great reviews you receive, you’ll never get rid of the thought that people are just being kind and not really telling you what they think – but also as a means to attract new readers. At the same time we’re terrified of reviews, especially early in our careers, in case they confirm our darkest fears that what we’ve created is illegible rubbish. In my case, about a week after I published my first novel I became afflicted by a kind of desperation as I waited for somebody, anybody, to review my book. I couldn’t understand why everyone was taking so long. What was the problem? Didn’t they know how important reviews were? I ended up doing something I really don’t recommend you do: I hassled my friends and family in the hope they would write a review. Most didn’t – thankfully – but I used up a lot of good will during those early days which in some cases I’ve still yet to regain. So, in order to help those of you who have either just published or are about to publish, I’m going to give you tips on how to increase your chances of receiving honest reviews of your work, activities I would advise you avoid, and then finally the one guaranteed method of generating reviews, although I’m not sure you’ll like the answer. Before I get there though, I need to mention one thing. Nobody owes you a review. If somebody has bought you book, or even if they got it for free, the only expectation you can have of them is that they received it. If they read it, that’s even better, and if they review it, that’s fantastic. But don’t get angry if the vast majority of people don’t review your book. They don’t have to and are under no obligation to do so. Book reviewers are the most wonderful people in the whole world, as I mentioned in a previous blog post here. They take the time to not only read your work but to then review and promote it afterwards, all out of the kindness of their hearts. Most, however, are inundated with requests so don’t be surprised if they don’t take you up on your review request. It’s not personal, it’s just that they only have a limited amount of time and with so many people approaching them, they can be choosy about what to read. This approach isn’t easy. It’s a lot of work investigating each reviewer, making sure they like the type of book you’ve written and reading some of their reviews before getting in contact. However, what you do know is that if they agree to read your book, you are guaranteed a review. You’ll see at the end of this post that if you sign up to my mailing list, you can get one of my books for free. All I ask is that I receive an honest review in return. Again, this isn’t a guarantee of a review – but some of those who receive the free book will uphold their end of the bargain and write a review. At the end of each of my novels I’ve written a polite message thanking the reader for reading, explaining the importance of reviews, and asking if they would be so kind to leave an honest review. I’ve seen a small uptick in reviews since doing this, not huge, but it has made a difference. I’m not talking here about review swaps – which I’ll come to in a bit – but one of the side results of me reading other self-published authors’ books, and recommending the books I’ve enjoyed, is that some of those authors, and even the readers of these recommendations, have read my books in return. And some of those who read my books enjoyed them enough to reviewed them, not because I’ve asked, implied or demanded them to do so, but because they understand the value of reviews and are happy to do so. I know some authors hate the idea of giving your work away, but when you are starting out the biggest challenge is not writing or publishing your book but being heard. I run occasional free promotions on Amazon and every time, within a few weeks, I receive new reviews. There is a down side to this approach. The best reviews come from people who have researched your book and like the genre or subject matter. Free promotions are picked up by all sorts of people, so your book could reach the wrong readers and receive low scores because the book wasn’t to their taste. I’m not talking here of politely asking a friend when told they’ve read your book if they wouldn’t mind leaving a review when they get a moment. I’m talking about asking them every time yo see them, boring them with how important it is to you, leaving whiny, passive-aggressive posts on social media, and generally being a pain in the arse. As I mentioned earlier, nobody owes you a review. You need your friends for many better reasons than as a personal review factory. Leave them be. Really, don’t pay for reviews. I can see the attraction – trust me, I’ve been tempted, especially early on. A simple google search reveals a number of ways to gain reviews. Any service that offers X number of reviews for X dollars should be avoided like the plague. They are against Amazon’s T&Cs and could lead to your book getting banned. 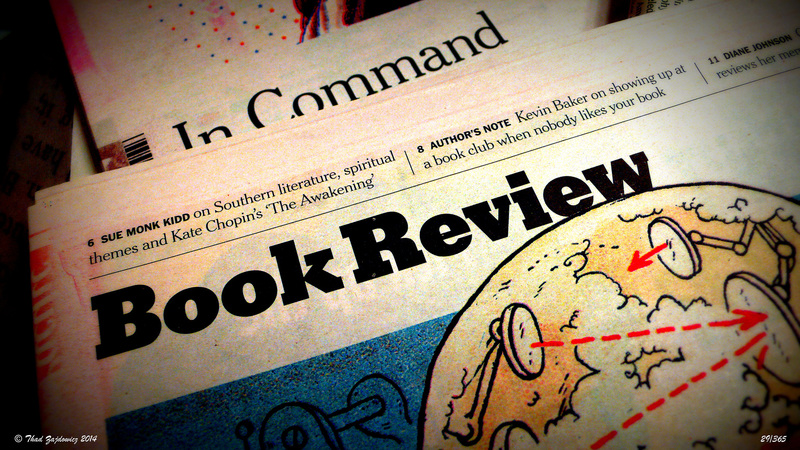 Some book reviewers offer reviews for money. I can understand it from their perspective – they’re spending time and effort reviewing the book, why shouldn’t they get rewarded? But as a writer what you want are honest reviews, and even though the final review could well be impartial, there will always be a suspicion that the rating was bought, which will tarnish the rest of your legitimate reviews. I wouldn’t even recommend paying for your book to be reviewed via a well-known legitimate source like Kirkus, not because I believe the review would be dishonest, but because there are better ways to spend the $400 it costs to promote your book. At some point you will be asked by an author to review their book and they will review yours in return. It’s very tempting, I mean, what could go wrong? The problem with review swaps is that no matter how honest either party is, there is a pressure on you to be more positive than usual because you know that they will be reviewing your book in return. Even if you both write honest reviews, there will always be the suspicion that you haven’t. This is why I never take on reviews and only recommend books I’ve paid for and enjoyed. Time. If your do some or all of the things I recommend above over a long enough period of time, you will get reviews. They may not come as quickly as you wish or be as many as you’d like. They may not be as nice, or as in-depth, as you were hoping for, but the longer your book has been published, the more reviews it will receive. I long ago realised that while I could take action to encourage people to review my books, I had no control over whether they did or not, so I stopped worrying about it. And do you know what? I’m a much happier writer because of it. So what about you? Do you agree with what I’ve written? Are there any other methods you’re aware of that help generate reviews, or are you not bothered in the slightest? I’d love to hear from you. How to make an author’s day! 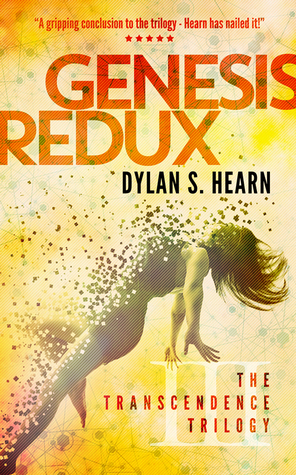 The first official review of Genesis Redux is in from Dave Higgins. Thank you so much for your kind words. Is it too early in the day to open the champagne? Hearne mixes complex, gritty politics with technology just beyond our own to create a dystopia that is both surprising and all too familiar. This novel is the third volume in the Transcendence Trilogy. As such, the remainder of this data file poses a risk of corrupting the users surprise file for previous volumes. Nico Tandelli and Mike O’Driscoll have been imprisoned by mysterious forces. Stephanie Vaughn is trapped in an unresponsive body. And the conservative faction of Global Governance are all but overthrown. But as Indigo reaches for the prize she has lied, stolen, and manipulated her way toward, it is snatched from her. As each struggles to break free, the secret battle for humanity’s future becomes open war.